At American Family Fitness, we want to support the community that supports us. We love being apart of something that is bigger than us! 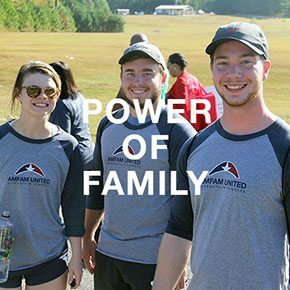 We're family at American Family Fitness, and we'd like to be part of your family -- your support, your guidance, your motivation to get healthy and fit. You tell us your goals, and we will be there with you every step of the way. And we'll always be here for the community that supports us, too. Our gyms in Richmond want to make a difference! It can be said that family is one of the most important things in life, and the word “family” can mean many different things. It could mean your mom, dad, sisters, and brothers, or it could mean your extended family of aunts and uncles. “Family” could also mean your family at work or school, or your very close friends. At American Family Fitness, we understand the importance of family, that closeness between people, and having the ability to depend on them. We would like the opportunity to become a part of your family! Come be a part of something bigger! When you join our team of dedicated members you are making a statement saying that you care about more than yourself and that you want to make a difference. Be a part of one of our many volunteer and fundraising opportunities and events. Show your community that you care! Sunday, May 5, 2019, in Fredericksburg. 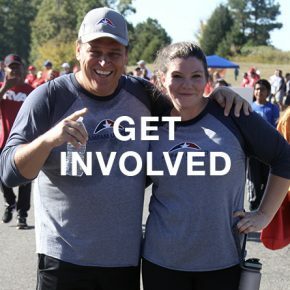 Interested in partnering with American Family Fitness? Work for a charitable organization and need volunteers or supplies? 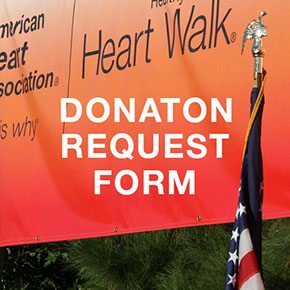 Fill out our donation request form to submit your charity or organization for consideration.